Earn 2% from every sale/purchase on SWAPD, for life! 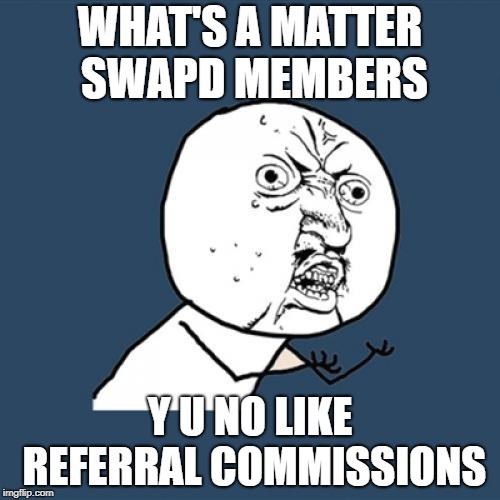 Introducing SWAPD Rewards! Be patient my friend while I invite over my Pakistani buds. Not at all. Just trying to be funny (in a poor way, I admit). In a few days, sending invites will be easier too, when we launch custom invite links. nice , how its works ? i can do something to activated ? YES! PEOPLE ARE STARTING TO INVITE!!! We’ve noticed a sharp spike in invited people, which makes us SUPER happy. To make things simpler, we’re updating out system today to make invites 10x easier. We will also offer incentives for people you potentially bring in, so they will jump on your invites faster. More details coming up soon! Thank you very much to the people who jumped on this opportunity and invited their business contacts to SWAPD! 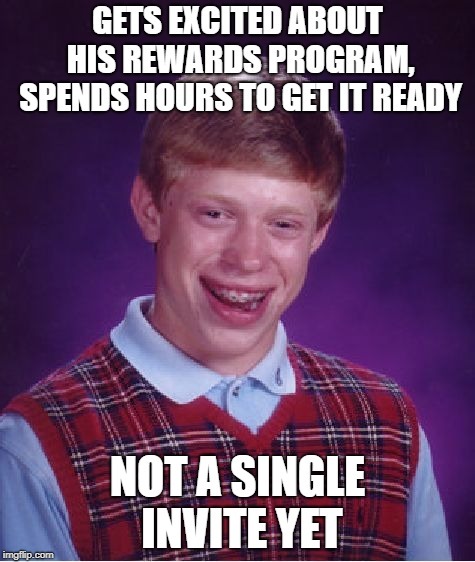 Update: One of our users sent 20+ invites. What’s your excuse? I have a community of 4M people on Facebook alone and I am also connected to Influencers here in Nigeria, Ghana & South Africa. I will be ready to invite those who will be interested in buying & selling once the personal REFERRAL LINK is ready. This ia a good opportunity to earn. Good Job guys!!! The link is already ready! However, you will not be able to advertise it on Facebook unless you get creative (we’re banned from Messenger/Instagram/Facebook).